MindShift Interactive continues to be a strong and important partner for The House of Shiseido. We are delighted with their ability to provide fresh and innovative strategies consistently in the digital medium for our brand Za and having a strong understanding of the consumer. Undoubtedly this partnership adds tremendous impact to our brand through engaging, relevant content, focused communication and increase in brand awareness. I've had the pleasure of working with Mindshift Interactive for the last 2 years now and in that time I have come to recognize this inspired lot of digitally-obsessed individuals as an agency that truly understands the creative requirements of luxury and lifestyle brands on social media. Not only are they brimming with new ideas which truly incorporate our brand identity, but their execution is also timely and always up to the very high mark they have set for themselves. But beyond the quality of work that they stand for, I also most definitely value the excellent rapport they maintain with all their clients and the fact that they will always ensure you're as in-tune with digital and new trends as they are! MindShift has been instrumental in increasing our online visibility, organic search and lead generation from a recently conducted campaign where the Courtyard by Marriott brand marked it's 1000th hotel milestone. We are continuously impressed with their level of service and consider them a key marketing partner in helping drive this campaign. They are not only proactive and responsive, but also at the forefront of thought leadership in the digital space. We have been working with MindShift for over three years now. In this time, Zafar and his team have contributed greatly to developing and executing our social media activities. We see them as a part of our team and key partners in the development of an integrated Marketing and PR strategy. It has been a pleasure working with them and I am sure the relationship will endure for years to come. 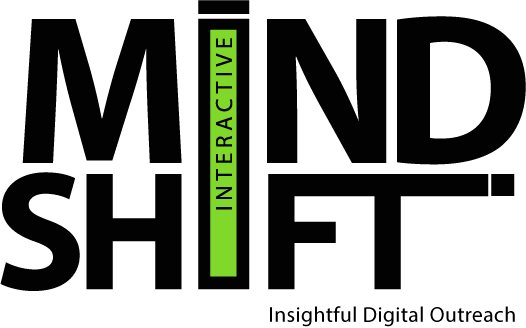 MindShift is one of the most professional teams that we have ever had a pleasure of working with. In our two year old association, MindShift's social media experience has helped us pin multiple landmarks in our own journey. Their team is quite well-versed with social media and knows how to use concepts to one's advantage. Being a retailer entity we require constant interaction with our customer base and MindShift's knowledgeable and dedicated team helped us do that both, on Facebook and on Twitter. We have also had multiple world-wide trends on Twitter, amongst many other achievements. In short, MindShift team is reliable, thorough, calculated and possesses extremely focused approach towards social media. JW Marriott Mumbai and MindShift's relationship is less than a year old; but have to acknowledge that the team has understood the brand and our expectations brilliantly! Spearheaded by Zafar and his highly passionate and driven team members, JW Marriott Mumbai has been successful in setting a new benchmark in social media sphere through interesting activities consistent throughout the year. We look forward to a long and fruitful working relationship with them. Working with MindShift was an excellent experience. Their ability to drive live events, ideate on new trends within digital and work as partners was absolutely encouraging. I have had the pleasure to work with the MindShift team closely for the past two years as they worked on out two magazine brands- Grazia and Home & Design Trends handling social media management and marketing. The team was extremely hands on with the daily brand activities that we undertook on various platforms and their turnaround time has been great. It's good to have Zafar and Arshadeep being personally involved in strategies and plans that can help magnify brand presence on key social media management for any brand especially one like Grazia that targets young urban audiences in a niche category.